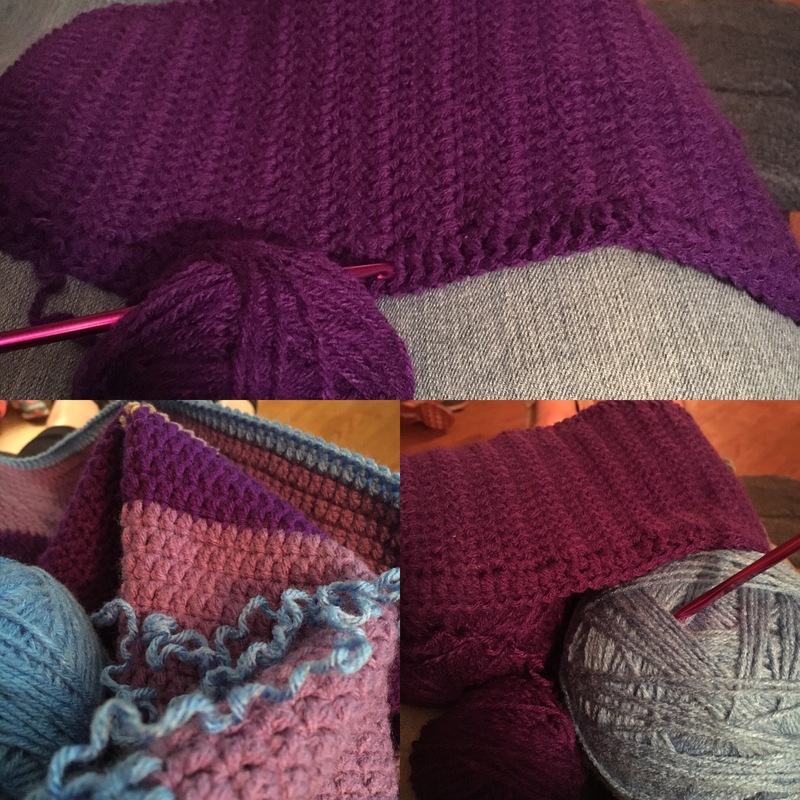 I crochet a blanket for each of my children while they are in high school as a graduation present, something they can take to college to be wrapped up in mom’s love. Knowing I have four years to finish, I’ve taken my time working on my last one. Now our daughter is only a few short weeks away from finishing her junior year. Looking at my pitiful progress, I started showing some serious attention to the project. As I was crocheting these past week however, I couldn’t ignore an obvious fact. You see, I’ve known for some time that the blanket wasn’t right. Way back near the beginning I was sloppy and didn’t make my corners properly. Instead of laying flat, there’s a “dome” in the middle. I kept crocheting though, thinking that if I just added enough extra stitches at the corners I could stretch it flat and “fix” it. The dome just got bigger. The other night I started working on it again while we watched television (a generally very good time to crochet). After a few stitches I set down my crochet hook and faced the unwelcome truth. I needed to unravel to the problem point and start again. With a reluctant heart I started pulling thread. It went quickly – destruction is always easier than production. With a skein undone and rolled up, I checked. Was that enough? No, back to pulling out stitches. Two skeins of yarn were now rolled up and surely that was enough. No, it now laid flat but the shape was more oval than rectangle because my corners weren’t square. If I started from here I’d wind up with the same problem. With a heavy sigh, I continued unraveling. Finally I reached my center rectangle that I had started with. I put it away, unable to look at it. I had no sense of accomplishment or success. Just a sense of loss at the time I’d wasted and the progress, though faulty, erased. The next day I looked at it, fresh in the morning light and with a cup of coffee. It was a good center, a good beginning. I started again. This time going around each corner carefully, making them square and even. I tested each corner making sure it laid flat and that my shape stayed correct. Instead of stitching along in haste, not paying attention but just trying to make progress – I’m taking my time, testing along the way. The blanket is nothing intricate or elaborate. Just a straight forward double-stitch, custom-sized blanket of love for my daughter, just as her brothers received before her. I can’t help but wonder how many times we put off doing what we know we need to do to make something right, continuing on and creating more “progress” that needs to be undone. Maybe we should have left that job a year ago, or stopped eating those double cheeseburgers when we were only a few pounds overweight. Maybe we should have had that heart-to-heart talk with God at the beginning of our discontent instead of allowing the wall of distance to grow. Sometimes it’s gone too far and you just have to live with the constant reminder of what you could have had. But I believe that most often it can still be fixed, it will just be longer and harder to get there. Most things don’t have a graduation deadline date – so I encourage you today, if you need to unravel something – start pulling out the stitches. Then, you can move forward with precision and care and a lesson learned. Probably the best one. What a heartbreak, to unravel. What courage it takes. Bless you Sheila.